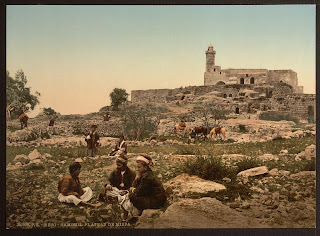 For many a tourist to Israel the first glimpse of Jerusalem is seen from the heights of a hill called “Nebi Samuel,” four kilometers north of Jerusalem. For centuries, Jews, Christians and Muslims have venerated the site with its iconic minaret as the burial place of the prophet Samuel. Some researchers identify the location as the Biblical town of Mitzpe or Ramah. Adjacent to the building housing the burial cave are the remains of a village dating back to First Temple times. On the other side of the monument are the remains of a Crusader citadel and monastery dating back 1,000 years. After Saladin’s victory over the Crusaders, the citadel was converted to a mosque. 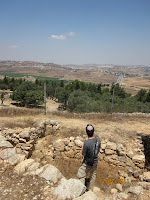 Nebi Samuel’s prominent topography defined it throughout history as a strategic military objective. The Library of Congress collection contains numerous pictures taken at Nebi Samuel or aerial photographs taken above it. 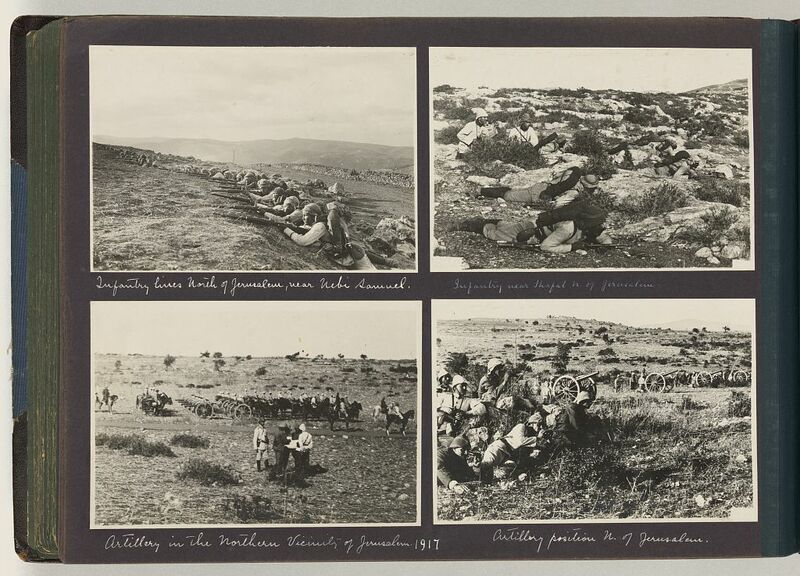 In 1917, World War I was not only conducted in Europe but was also waged in Palestine, pitting the British army (also with Australian, New Zealand, Indian troops) against the Ottoman/Turkish army fighting alongside its German and Austrian allies. To put the war’s scope into perspective, the British Desert Corp contained 25,000 horses all requiring massive amounts of food and water. 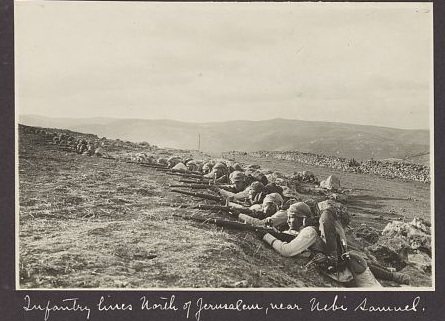 A major battle raged for a week at Nebi Samuel between three British and three Turkish divisions. 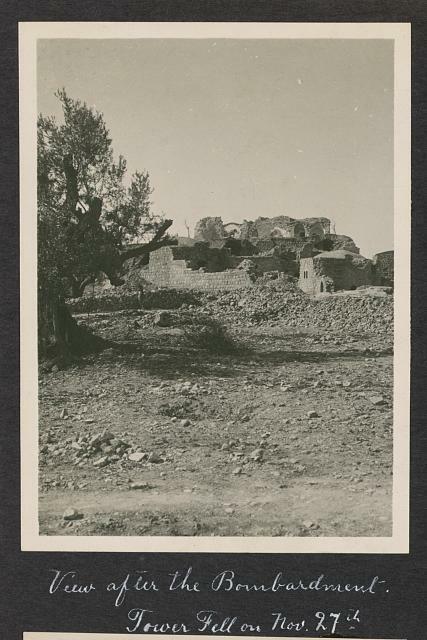 Days later, after the British took Nebi Samuel, a Turkish counterattack was beaten back. The British suffered 2,000 casualties in the battle for Jerusalem. The number of Turkish casualties is not known. The citadel and mosque were destroyed in the fighting and were rebuilt and restored during the British Mandate. In Israel’s War of Independence in 1948 the Palmach attempted to capture Nebi Samuel but were repulsed with heavy casualties. Between 1949 and 1967, the strategic site was controlled by the Jordanian army. The Israeli army captured Nebi Samuel in 1967. It is now open to visitors of all faiths. As for this - "In Israel’s War of Independence in 1948 the Palmach attempted to capture Nebi Samuel but were repulsed with heavy casualties", people might presume that was rather too aggressive an action. 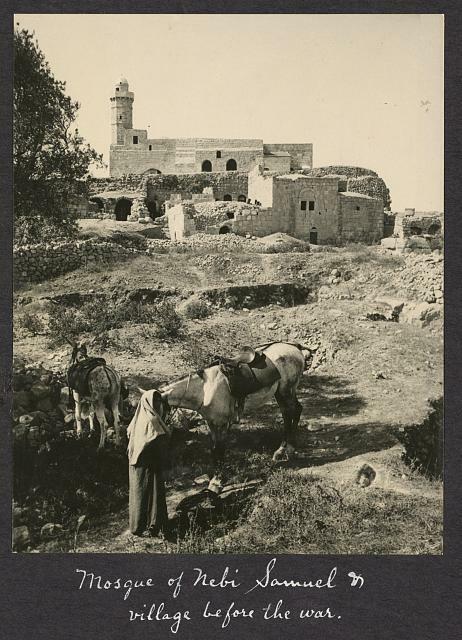 However, it should be stressed that Arab canon fire was directed at Jewish civilian locations in Jerusalem from whose heights Fawzi el-Kaukji’s Arab Liberation Army had been shelling the city.